^ 1.0 1.1 Nico Rosberg retires: World champion quits Formula 1 five days after title win. British Broadcasting Corporation. 2016-12-02 [2016-12-02]. （原始内容存档于2016-12-02） （英语）. ^ Rosberg wins in Japan as Mercedes seal constructors' crown. Formula 1.com. 2016-10-09 [2016-10-09]. ^ Baretto, Lawrence. Ferrari unveils its SF70H 2017 Formula 1 car. Autosport (Motorsport Network). 2017-02-24 [2017-02-24]. ^ Ferrari launch the SF70H. formula1.com. Formula One World Championship Limited. 2017-02-24 [2017-02-24]. （原始内容存档于2017-02-24）. ^ Sahara Force India on Twitter. Twitter. 2017-02-13 [2017-02-13]. ^ 6.0 6.1 6.2 6.3 Mercedes-AMG Petronas Motorsport launches W08 EQ Power+. Mercedes-AMG Petronas Motorsport. 2017-02-23 [2017-02-23]. ^ 7.0 7.1 Haas F1 Team Secures 2017 Driver Lineup by Signing Kevin Magnussen to Join Romain Grosjean. Haas F1 Team. [2016-11-11]. ^ Ferrari launch the SF70H. formula1.com. Formula One World Championship Limited. 2017-02-24 [2017-02-24]. （原始内容存档于2017年2月24日）. ^ McLaren announce new car name. Formula1.com. 2017-02-03 [2017-02-03] （英语）. ^ Time to Power into the Future. Red Bull Racing. 2016-11-25 [2016-11-25]. ^ 12.0 12.1 12.2 Baretto, Lawrence. Red Bull and Toro Rosso F1 teams sign Renault engine deal. 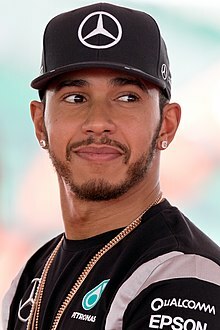 autosport.com (Haymarket Publications). 2016-05-29. ^ Red Bull to run TAG Heuer-badged Renault engines in 2016. formula1.com. Formula One World Championship Limited. 2015-12-04 [2017-03-01]. （原始内容存档于2017-03-01）. ^ 14.0 14.1 R.S.17. Renault Sport. [2017-02-21]. ^ Sauber F1 signs former Ferrari and Renault engineer. This Is F1 (www.thisisf1.com). 2016-09-04 [2016-11-01]. ^ 16.0 16.1 Barretto, Lawrence. Sauber will use year-old Ferrari engines for 2017 F1 season. Autosport. Haymarket Publications. 2016-10-08 [2016-10-08]. （原始内容存档于2016-10-08）. ^ 17.0 17.1 17.2 Noble, Jonathan. Australian GP: Sauber F1's Pascal Wehrlein replaced by Giovinazzi. Autosport Media. 2017-03-25. （原始内容存档于2017-03-25）. ^ Kvyat to stay at Toro Rosso for 2017. GPUpdate.net (JHED Media BV). 2016-10-22. （原始内容存档于2016-10-22）. ^ 2017 Australian Grand Prix – Entry List (PDF). FIA.com (Fédération Internationale de l'Automobile). 2017-03-23. （原始内容存档于2017-03-23）. ^ Medland, Chris. Williams to name 2017 car FW40 as part of anniversary. F1i.com. 2016-11-01 [2016-11-01]. ^ Pirelli confirms new three-year F1 deal to 2019 · F1 Fanatic. f1fanatic.co.uk. 2016-06-17 [2016-07-30]. ^ 2017 F1 Entry List. Fédération Internationale de l'Automobile. [2017-03-02]. （原始内容存档于2017-03-02）. ^ Formula One: British-based team Manor goes into administration. abc.net.au (Australian Broadcasting Corporation). 2017-01-07 [2017-01-07]. ^ Manor F1 team collapse after administrators fail to find buyer. Sky Sports. [2017-01-27]. ^ Benson, Andrew. Manor F1: Team fold after administrator fails to find buyer. BBC Sport. 2017-01-27 [2017-01-28]. ^ Noble, Jonathan; Rencken, Dieter. Final Manor Formula 1 team rescue hopes end as 2017 entry withdrawn. autosport.com. 2017-03-01 [2017-03-01]. （原始内容存档于2017-03-01）. ^ Toro Rosso hush on engine talks. Fox Sports Asia (Fox Sports). 2015-09-15 [2015-09-21]. （原始内容存档于2015-09-29）. ^ Anderson, Ben; Parkes, Ian; Straw, Edd. Kevin Magnussen: Renault F1 2017 offer not good enough. Autosport (Haymarket Publications). [2016-11-11]. ^ Esteban Gutierrez confirms departure from Haas F1 Team at end of season. 2016-11-11 [2016-11-11]. （原始内容存档于2016-11-12）. ^ Smith, Sam. Ex-Haas Formula 1 driver Gutierrez seals Formula E switch. autosport.com. [2017-01-10]. ^ Esteban Ocon joins Sahara Force India for 2017 and beyond. Sahara Force India F1 Team. [2016-11-10]. （原始内容存档于2016-11-13）. ^ Nico Hülkenberg joins Renault Sport Formula One Team. Renault Sport F1. [2016-10-14]. ^ 34.0 34.1 Felipe Massa to replace Valtteri Bottas for 2017 season. Williams Grand Prix Engineering. 2017-01-16. （原始内容存档于2017-01-18）. ^ Valtteri Bottas to partner Lewis Hamilton at Mercedes in 2017 season. BBC Sport. 2017-01-16 [2017-01-16] （英语）. ^ Benson, Andrew. Felipe Massa: Williams driver to retire from F1. bbc.com. 2016-09-01 [2016-09-01]. ^ Barretto, Lawrence. Felipe Massa to retire from Formula 1 at end of 2016 season. autosport.com. 2016-09-01 [2016-09-01]. ^ Williams confirms driver line-up for the 2017 season. Williams Grand Prix Engineering. 2016-11-03 [2016-11-03]. （原始内容存档于2016-11-03）. ^ Beer, Ben Anderson and Matt. Jenson Button to step down from McLaren F1 race seat in 2017. ^ Vandoorne: I maximised my opportunity. www.formula1.com. [2016-09-10]. ^ Button to take Formula 1 sabbatical in 2017. speedcafe.com. 2016-09-04 [2016-09-04]. ^ Barretto, Lawrence. Sauber F1 team signs Pascal Wehrlein for 2017 season. autosport.com. 2017-01-16 [2017-01-16]. （原始内容存档于2017-01-16）. ^ Wehrlein replaced by Giovinazzi for Australian Grand Prix.Motorsport.2017-03-25.[2017-03-25]. ^ Paul di Resta to replace unwell Felipe Massa in Hungary.BBC Sports.2017-07-29.[2017-07-29]. ^ 46.0 46.1 46.2 46.3 46.4 FIA Announces World Motorsports Council decisions. Fédération Internationale de l'Automobile. 2016-11-30 [2016-11-30]. （原始内容存档于2016-11-30）. ^ Collantine, Keith. No wonder FOM arranged Baku to clash with Le Mans. F1 Fanatic (Keith Collantine). 2016-02-02 [2016-05-16]. ^ Formula One sells for $5.7 billion to John Malone's Liberty Media. abc.net.au (Australian Broadcasting Corporation). 2016-09-08 [2016-09-08]. ^ Parkes, Ian. Liberty Media's F1 takeover: Teams will get the chance to invest. autosport.com (Haymarket Publications). 2016-09-08 [2016-09-08]. ^ Bernie Ecclestone no longer F1 chief executive - statement. Sky News. [2017-01-23]. ^ Formula One relaxes social media rules under post-Bernie Ecclestone regime as testing begins. abc.net.au (Australian Broadcasting Corporation). 2017-02-28 [2017-02-28]. ^ Tyson, Will. Side-by-side: How the 2017 rules will change F1 design. F1 Fanatic (Keith Collantine). 2016-05-11 [2016-05-11]. ^ 56.0 56.1 56.2 56.3 2017 season changes. formula1.com. Formula One World Championship Limited. [2017-03-11]. ^ FIA confirms new 2017 engine regulations. speedcafe.com. 2016-04-30 [2016-04-30]. ^ 58.0 58.1 Allen, James. Aanalysis: Important deal agreed on F1 engines to 2020. James Allen on F1 (James Allen). 2016-04-29 [2016-04-30]. ^ Parkes, Ian; Barretto, Lawrence. How Formula 1's new engine rules will work. autosport.com (Haymarket Publications). 2016-05-12 [2016-05-12]. ^ FIA announces World Motor Sport Council decisions. 2015-09-30 [2015-10-02]. ^ Galloway, James. Pirelli to stay as F1's sole tyre supplier until 2019 season. Sky Sports. 2015-10-12 [2017-03-01]. （原始内容存档于2017-03-01）. ^ F1® Tires Range. Pirelli. [2017-03-01]. ^ Tyres and wheels. formula1.com. Formula One World Championship Limited. [2017-03-01]. （原始内容存档于2017-03-01）. ^ Formel 1 - Neues Design, neue Regeln, schnellere Autos. Sportschau. 2017-03-01 [2017-03-01]. （原始内容存档于2017-03-01） （德语）.